Two Air Affairs Learjets were involved in a recent Make-A-Wish Australia event. The Royal Australian Navy and The Australian Federal Police joined forces for a very special cause over the weekend, which saw a young boy’s spectacular wish come true. 12-year-old Daniel wished “to ride in a police car, fly in a helicopter and head out to sea on a battleship” as he has always felt a special connection with emergency services and the armed forces, being born on Anzac Day. Air Affairs were proud to be involved in this special day for Daniel. We would like to take this opportunity to wish all of our customers, clients and suppliers a Merry Christmas and a Happy New Year. We will be closed from December 22 and re open on January 8, 2018. Air Affairs (Australia) Pty Ltd has held ISO 9001 Quality Management System certification since 2002. Recently Air Affairs (Australia) Pty Ltd was audited by British Standards Institute (BSI) and is now globally certified to ISO 9001:2015. This is the latest version of the ISO 9001 Quality Management System standard. The British Standards Institute audit ensured the full scope of the capability and services provided by Air Affairs (Australia) Pty Ltd to our Defence and civilian industry customers are of the highest quality and provides confidence that Air Affairs (Australia) Pty Ltd continues to meet or exceed customers expectations. As a commitment to our staff and customers, Air Affairs (Australia) Pty Ltd recently commenced actions to implement an effective health and safety management system. As of September 2017, Air Affairs (Australia) Pty Ltd has been audited and certified by the British Standards Institute (BSI) to AS/NZS 4801:2002 standard for Occupational Health and Safety Management Systems. Achieving this certification provides confidence to our staff, customers and visitors that Air Affairs (Australia) Pty Ltd is committed to providing a safe work environment, fostering a safety culture across all areas of the organisation and continually promoting improvement within our Occupational Health and Safety Management System. Air Affairs Australia will be exhibiting at this years Pacific 2017 International Maritime Exposition. The event will be held at the Sydney Exhibition Centre, Sydney from Tuesday October 3 through to Thursday October 5. 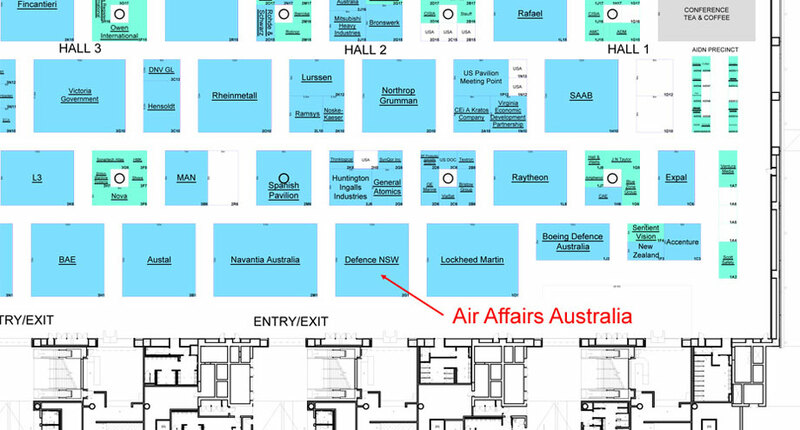 The Air Affairs display will be located at the Defence NSW stand in Hall 2 and the stand number is 2G1. If you are visiting this event please come to Defence NSW stand and meet the Air Affairs team. We will have our Phoenix Jet Target Drone on display as well as information on other products and services we provide. Opening hours are Tuesday 3 October 09:00 – 18:00 , Wednesday 4 October 09:00 – 18:00 & Thursday 5 October 09:00 – 17:00. Air Affairs Australia has teamed with Discovery Air Defence Services Inc (Discovery Air - Defence) to deliver a Fast Jet Adversary Air capability under Air Affairs’ existing Jet Air Support contract commencing in Q3 of 2017. Three fully crewed and maintained Alpha Jets will be based at RAAF Williamtown to provide Red Air for Royal Australian Air Force training, Joint Terminal Attack Controller (JTAC) training for the Australian Army and anti-surface training for the Royal Australian Navy. Operations, maintenance and logistics for the Alpha Jets operated from Williamtown will be supported at the AAA facilities at Albatross Aviation Technology Park (AATP) Nowra by an integrated Air Affairs and Discovery Air - Defence team. 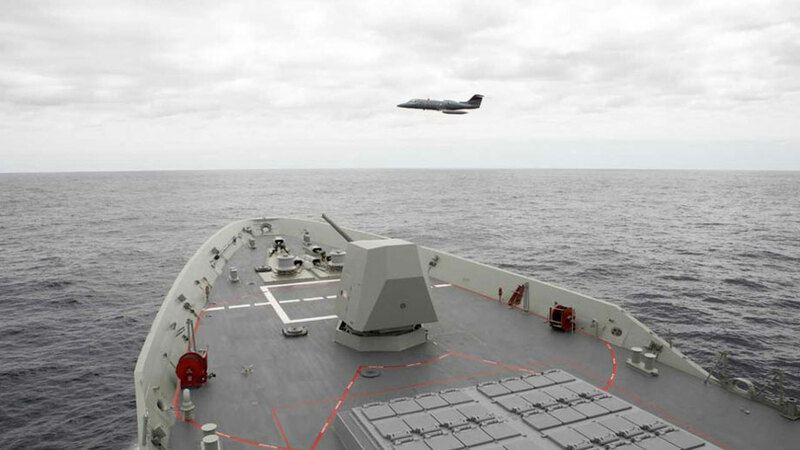 “Air Affairs Australia is pleased to be working closely with Discovery Air Defence for the Fast Jet Trial. 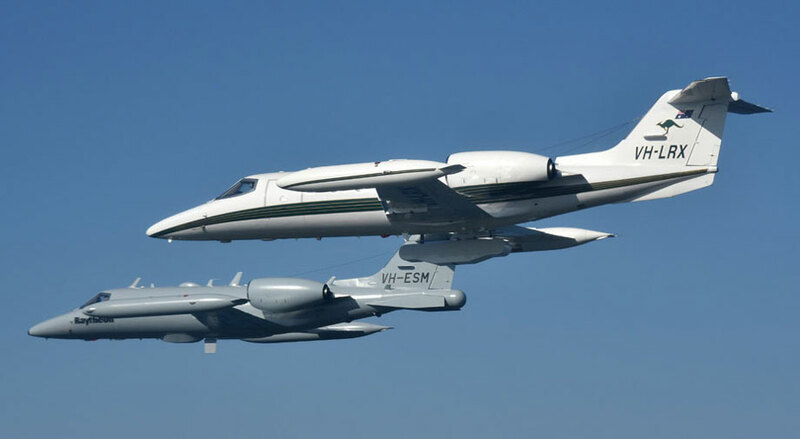 Both companies are proud to be selected for this initial Fast Jet trial Discovery Air Defence’s proven track record in contracted air services brings a complimentary solution to our current Jet Air Services contract. Our common commitment to the highest levels of safety and airworthiness will ensure the best training for the Australian Defence Force. 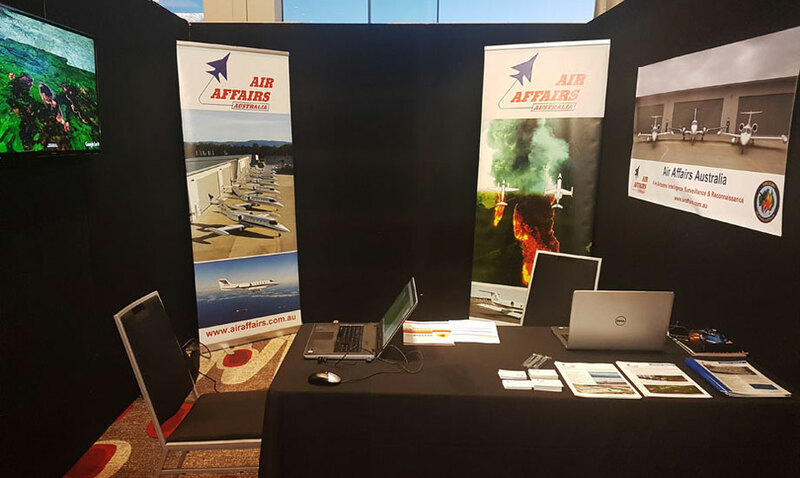 Air Affairs Australia has just returned for exhibiting at this years Emergency Management Conference at the Pullman Mecure at Albert Park in Melbourne. The team displayed samples of their bushfire line scanning images and spoke to representatives from the Country Fire Authority and other emergency services. Through the National Aerial Firefighting Centre (NAFC), Air Affairs provides Airborne Strategic Intelligence and Reconnaissance (ASIR) services for NSW and Victorian fire and emergency management authorities. Air Affairs has been providing ASIR services in Australia since 1994. In recent years, the company committed to developing and further enhancing the ASIR capability, specifically for bushfire and other emergency operations. With focus on systems developed for fast, high altitude platforms, the service provided uses multiple Learjets as primary response aircraft. Though Air Affairs have utilised Learjets previously for high altitude bushfire surveillance on a Call When Needed (CWN) basis, it is the first time a high performance jet aircraft has been used under contract for bushfire ASIR services in Australia. It is also the first time an ASIR capability has been provided to multiple states in Australia, under a sole service provider arrangement. 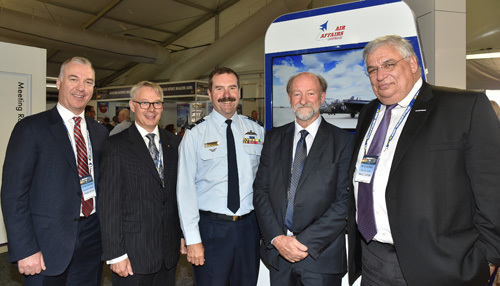 Air Affairs Australia and Raytheon Australia and have signed a teaming agreement that outlines a significant expansion of Australia’s Electronic Warfare Training Services (EWTS) capability. 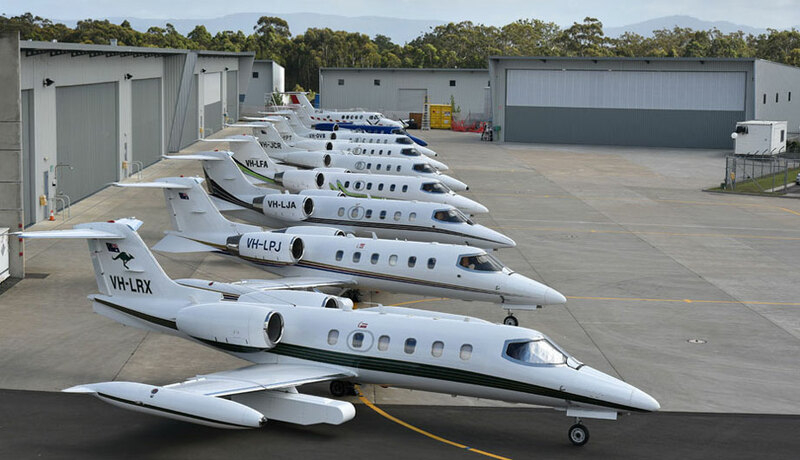 Air Affairs Australia owns and operates a fleet of 13 special mission Learjet aircraft that provide specialised air training support services to Defence. Currently, Raytheon Australia provides real-world simulation, testing and training services for the Royal Australian Navy and Australian Defence Force utilising two Raytheon-owned Learjets. This new teaming agreement will expand the current fleet of special mission aircraft available for delivery of EWTS and sharing of resources. The new partnership will support Australia's Defence forces training in complex, high-threat electromagnetic environments that provide realistic adversarial EW operations. The partnership will enable further expansion in the Albatross Aviation Technical Park and has the potential to create further high technology employment in the Shoalhaven. "Air Affairs Australia looks forward to working with Raytheon Australia and supporting Defence in its Electronic Warfare Training Services mission," said Chris Sievers, managing director of Air Affairs Australia. Raytheon said EWTS missions are complex and involve sophisticated EW system training, test, experimentation and evaluation trials, radar jamming and deception, communications denial and deception, and radar threat simulation. "Electronic warfare will play an increasingly critical role in the battlespace of the future," said Michael Ward, managing director of Raytheon Australia. "As the demand for sophisticated EW training systems grows, Raytheon Australia and Air Affairs Australia will be ready to respond and support Defence." The combination of Air Affairs’ significant aviation operating capability and high capacity special mission air operations combined with Raytheon Australia’s EW pedigree will provide Defence the advanced capability it is seeking. Air Affairs Australia has just returned for exhibiting at this years Avalon International Air show. Air Affairs Australia displayed their Phoenix Jet target drone on the NSW Department of Industry stand. The team reported a busy week with a lot of interest in their services and products highlighted by two major media announcements, a new defence contract and a new teaming agreement. Click here for more information about the announcements. 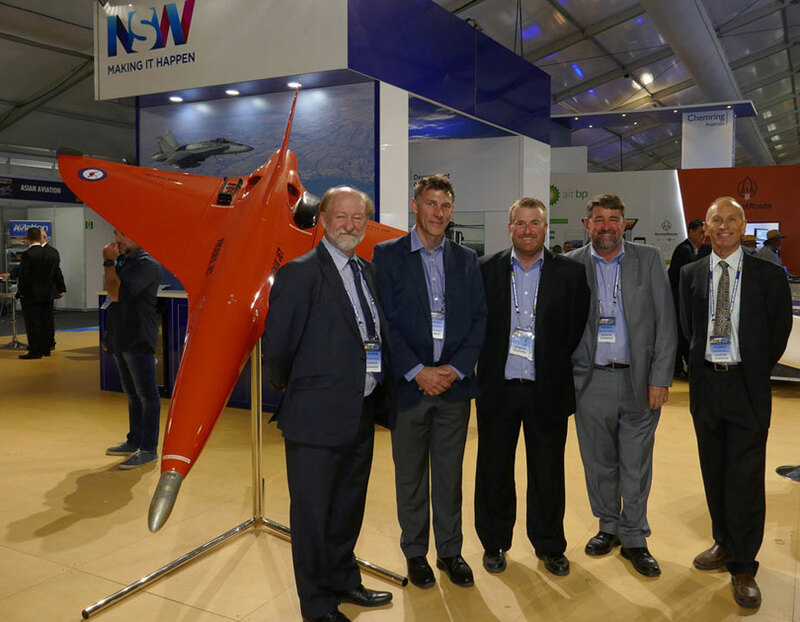 Air Affairs Australia proudly displayed their Phoenix Jet Target Drone on the NSW Trade & Investment stand at this year’s Avalon International Air Show. From left Chris Sievers, Darren Bramley, Rob Power, Dennis Hinds and Pat Barfield. The team reported a busy week with an announcement of a new defence contract and a new teaming agreement. Air Affairs Australia Pty Ltd (Air Affairs) has teamed with Discovery Air Defence Services Inc. (DA Defence), a wholly-owned subsidiary of Discovery Air Inc., to deliver a Fast Jet Adversary Air capability under Air Affairs’ existing Jet Air Support contract commencing in Q3 of 2017. Three fully crewed and maintained Alpha Jets will be based at RAAF Williamtown to provide Red Air for Royal Australian Air Force training, Joint Terminal Attack Controller (JTAC) training for the Australian Army and Air Affairs Discovery Air Fast Jet Trial Contractanti-surface training for the Royal Australian Navy. Operations, maintenance and logistics for Alpha Jets in Williamtown and at Albatross Aviation Technology Park (AATP) Nowra will be supported by an integrated Air Affairs and DA Defence team. “Air Affairs and Discovery Air Defence are proud to be selected for this initial Fast Jet trial. The capabilities and expertise of both companies will be combined to deliver highly representative threats and training to produce specialist trained and competent RAAF, Army and Navy combat personnel.” said Mr Chris Sievers, Managing Director of Air Affairs. “Discovery Air Defence is trusted by the world’s leading air forces to deliver cost effective operational training support. Both Discovery Air Defence and Air Affairs are proud to be selected by the Australian Government to bring our combined capabilities and experience to improve the operational readiness of the Australian Defence Force,” said Mr Paul Bouchard, President of Discovery Air Defence. Air Affairs is a capable and innovative Aviation Operations and Engineering company proudly supporting Australian and International Defence and Industry organisations. Established in 1995 and 100% Australian owned. Air Affairs is a leader in the provision of special mission aircraft, airborne equipment and engineering services for the ADF and several countries around the world. Air Affairs has been directly involved with the Jet Air Support contract since its inception, supplying all the primary equipment including reeling machines, towed targets and tow cables. The company provides aircraft operations and maintenance under full CASA certification and operates from Air Affairs’ purpose built facilities at the AATP Nowra NSW. Discovery Air is a global leader in specialty aviation services. We deliver exceptional air combat training, medivac equipped aircraft services, airborne fire services, air charter services, helicopter operations, and transport and logistics support to ensure operational readiness, health, safety, and vital lifelines for our clients and the communities we serve. Air Affairs Australia Pty Ltd (Air Affairs) is pleased to announce the establishment of a Memorandum of Understanding between Kratos Unmanned Systems Division and Air Affairs to collaborate in Australia. The MoU builds on an existing long-standing relationship between the two companies for over a decade where Air Affairs has been providing parts and payloads for the full range of Kratos drones under a manufacturing agreement. 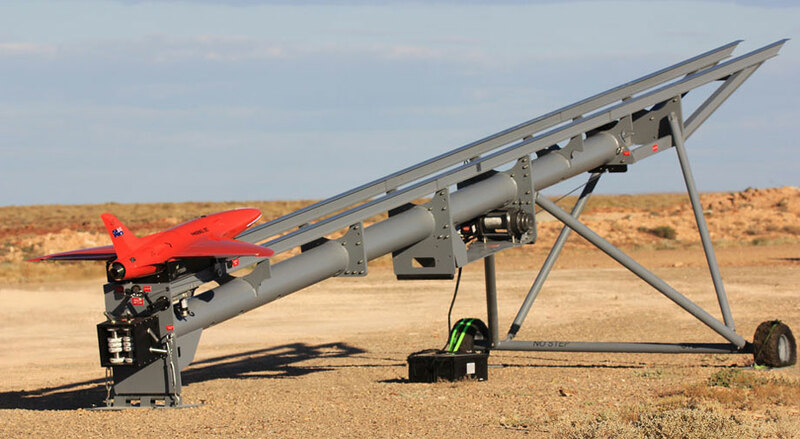 This year, Kratos will be opening an Australian office in support of Kratos’ growing number of Australian initiatives, and the companies will jointly identify future unmanned systems opportunities to complement Air Affairs’ existing manned adversary and targets business as well as pursuing a range of evolving tactical UAS opportunities. The MoU enables Air Affairs and Kratos to offer a selection of Unmanned Aerial Systems ranging from low-cost Phoenix Unmanned Aerial Targets, to tactical UAS for a number of applications, through to high performance UATs. Air Affairs Australia will be exhibiting at this years Avalon International Air show. The event will be held from Tuesday February 28 through to Sunday March 5. The Air Affairs stand will be located within the NSW Trade & Investment stand which is located in Hall 2 and the stand number is NSW 2G6. Pilot training and aircraft maintenance has continued over the Christmas / New Year low activity period and full operations recommenced on Monday January 16th. . Air Affairs operates a fleet of Learjet 35 and 36 aircraft to provide Jet Aircraft Support for Australian Defence Force training. Air Affairs Australia recently secured a contract for provision of Airborne Strategic Intelligence and Reconnaissance (ASIR) services for NSW and Victorian fire and emergency management authorities. The contract, coordinated through the National Aerial Firefighting Centre (NAFC), provides for a total of 4 high altitude aircraft configured with Infrared Line Scanning Systems and satellite communications equipment. The airborne platforms, consisting of Learjet and Kingair aircraft, will be providing a full turn-key service primarily for bushfire mapping in Victoria and NSW. Through a flexible aircraft utilisation arrangement, the aircraft will be accessible for support ASIR services to other fire authorities throughout Australia during bushfire emergencies. 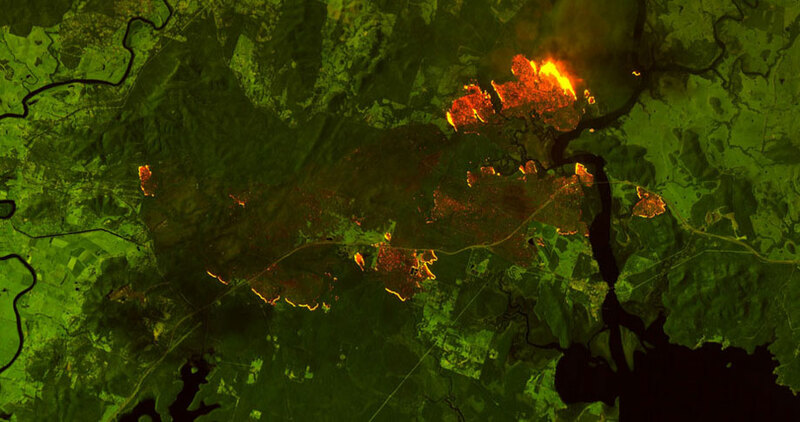 An example of multi-band infrared imagery gathered over an active bushfire from 25,000ft. (Lone Pine fire, NSW, 2016. Image Courtesy of the NSW Rural Fire Service). Line Scanner Aircraft (Learjet 35A and Kingair 200T) parked at Air Affairs’ base facility in Nowra, NSW. The Line Scanner sensor head on the Learjet is installed in a wing mounted pod system, custom designed and manufactured by Air Affairs.